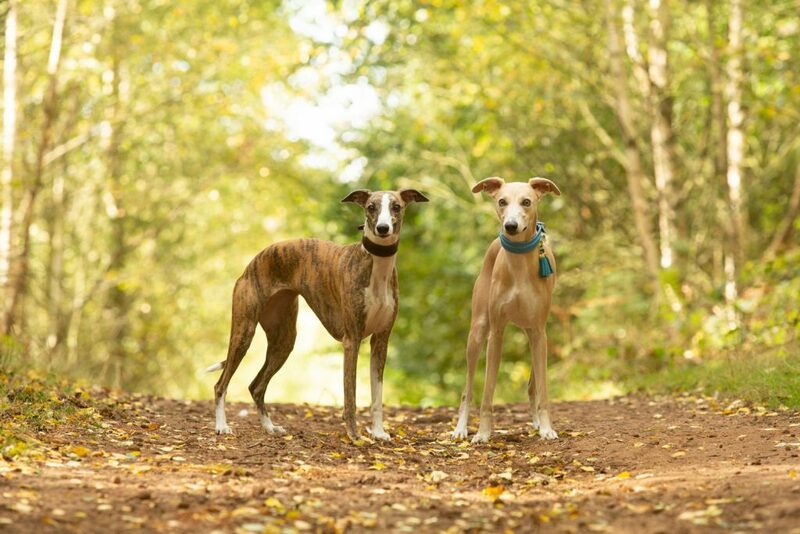 Young Anton was just 15 months when he came for his woodland photo session with his “sister” Paula, and I couldn’t have asked for better behaved dogs…. 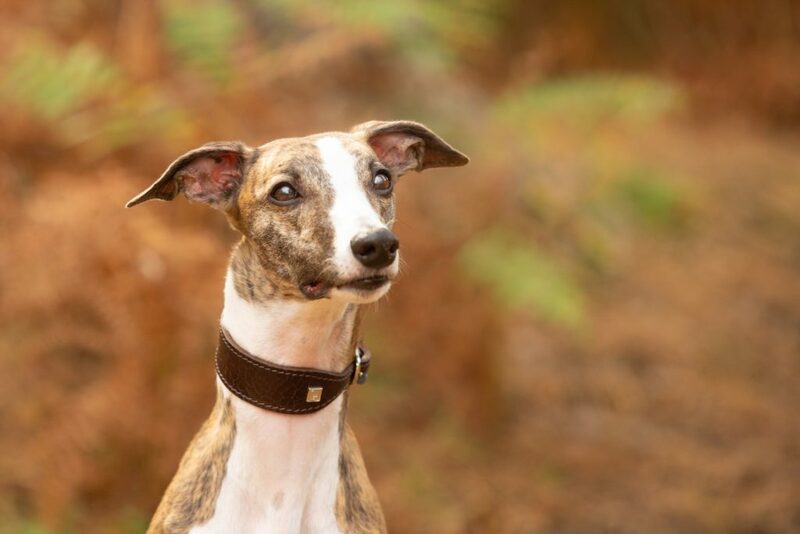 Although he can be a little nervous of new people, Anton was really great and coped well with my long lens being pointed at him from a distance! 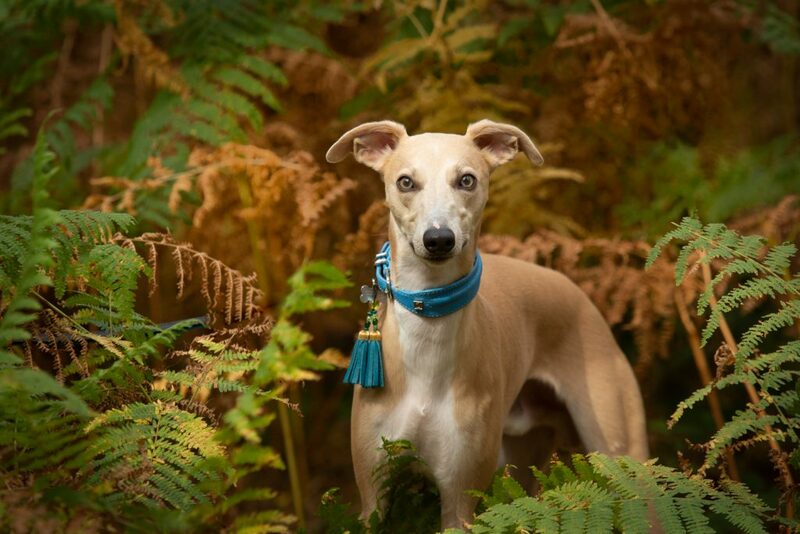 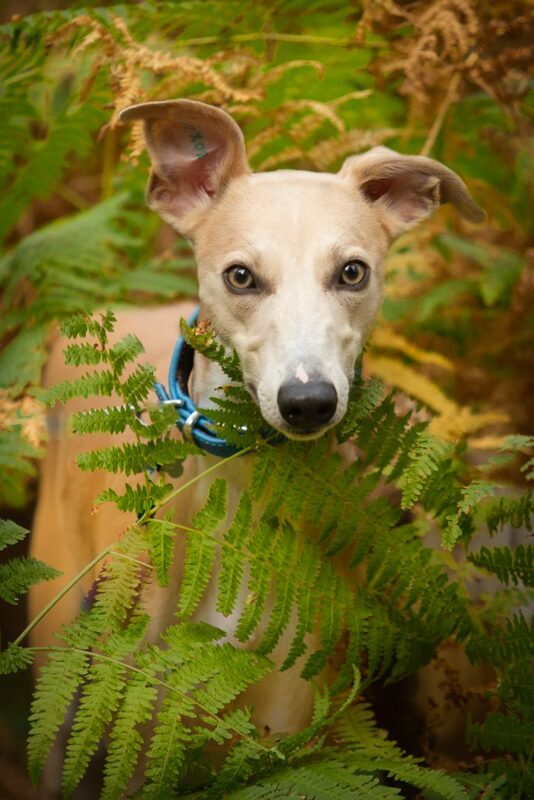 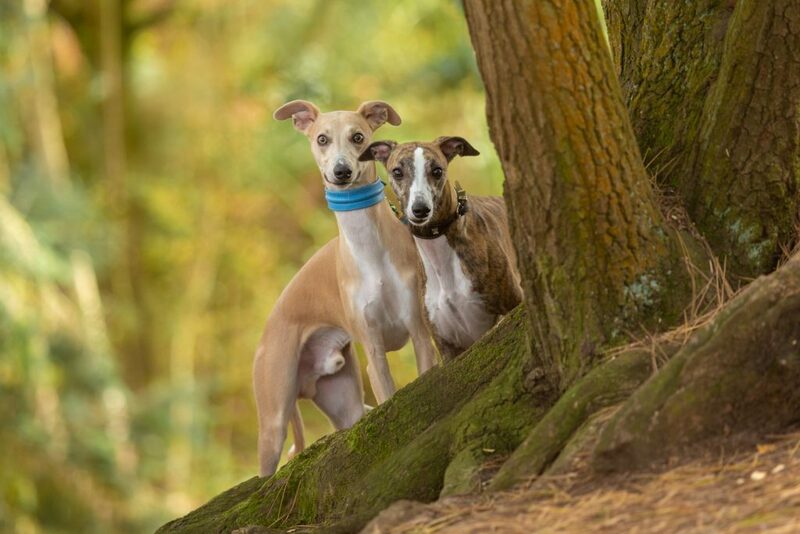 Anyone who knows Sighthounds will know that breeds such as Whippets are often kept on lead in places like woods where they could quickly be distracted by a cheeky squirrel or a running deer. 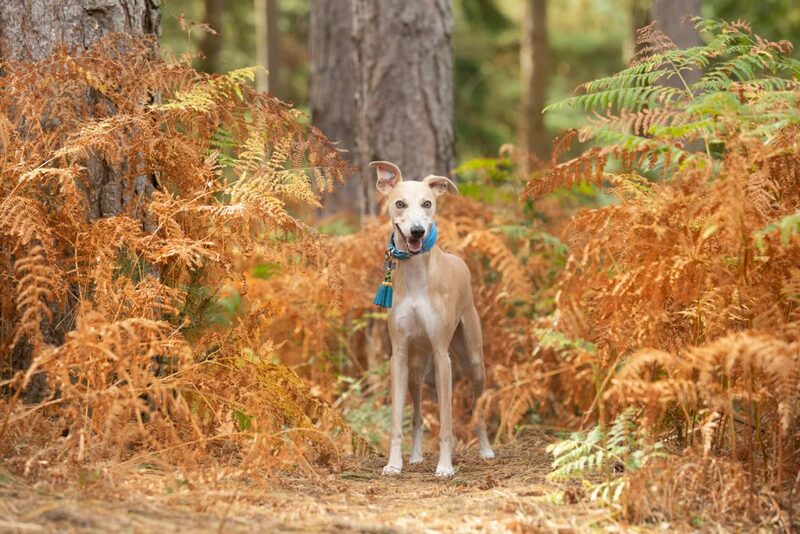 Thankfully we didn’t encounter either during our session, but nonetheless for safety reasons we kept both dogs on lead throughout. 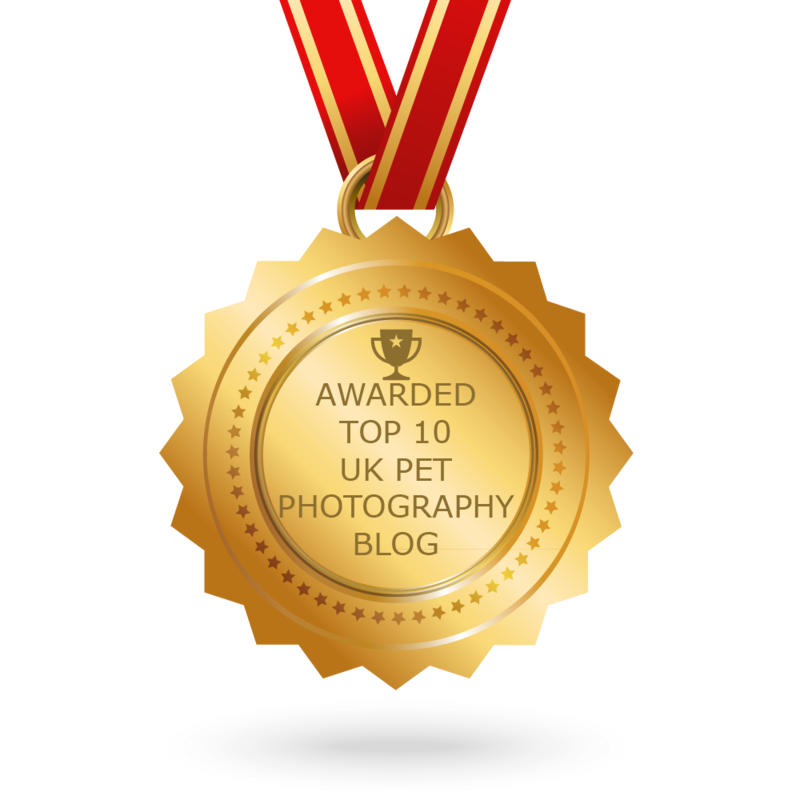 Their leads are carefully removed during hours of editing to produce these final images – so never let the fact that your dog doesn’t go off lead, stop you from having them professionally photographed!